Kim Perell has worked hard for everything she attained ever since she was a child. She remembers going door to door collecting cans and redeeming them at five cents a piece for spending money. When she wanted to learn horseback riding she cleaned the stables. When she wanted a car at 16, she flipped pizzas and sold suits to buy one. Through her 20's and 30's she went to school and worked at an investment bank, a direct marketing firm and a tech startup. Eventually she started two of her own companies. 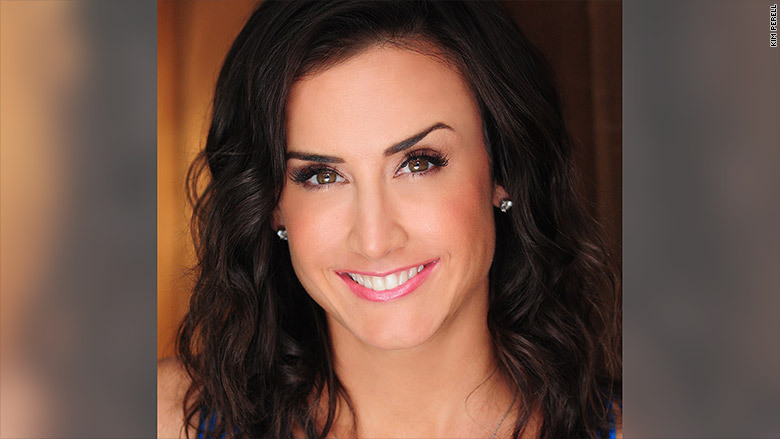 Now, at age 39, she is president of a multi-million dollar digital marketing firm in San Diego called Amobee. Perell credits her persistence and drive to her parents. 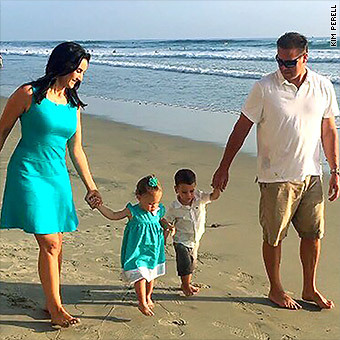 Learning resilience from their experience as struggling entrepreneurs became Perell's saving grace after the unexpected and devastating demise of Xdrive, the tech company where she worked after college. As director of marketing, Perell was able to help XDrive raise money by showing investors that the company's ad sales business was driving sales. But the company's core business of data storage wasn't generating revenue. So, when the tech bubble popped the investment money dried up and the party was over. "When XDrive went bankrupt, it was the worst time in my life," Perell said. 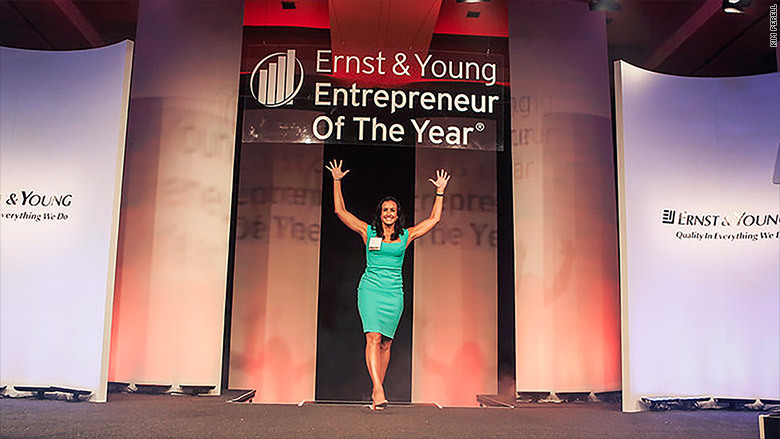 Perell - Ernst & Young's Entrepreneur of the Year in 2013. But instead of getting gun shy, Perell decided to jump back in. Three months after XDrive went bankrupt, Perell was coming up with a plan on her in-laws kitchen table to launch her own digital marketing firm, Frontline Direct. She launched the company in 2002, self-funding it with $10,000 in the bank and plenty of credit card debt. She eventually grew FrontlineDirect to $100 million in annual revenue and merged it in a $30 million deal with a European marketing firm, to form AdconionDirect. That company was eventually bought by Amobee, a unit of Asian telecom giant Singtel in 2014. Now Perell wants to pay it forward by investing in other start ups. As an Angel investor, she has over 60 active investments in promising startups. She's sold over a dozen of the start-ups she's invested in for $500 million, she says. "I'm confident when I look at the future that I'm just starting," she said. My father started a self-service auto repair in Portland that went bust. Then he went into roofing. When he wasn't able to get enough tile he created a machine in our garage to make concrete tiles. When the real estate market bottomed out in the 80's he closed his roofing company. Eventually, he got into building elder care homes. Along the way he started a restaurant and that went bust. He started a bar and that went bust. I can see parallels between the two of us. He created his own tiles, I created my own market. When I started a digital ad company there weren't enough digital advertisers, so I looked for products to buy directly from manufacturers and sell to consumers online. The products ranged from toys to teeth whitener. 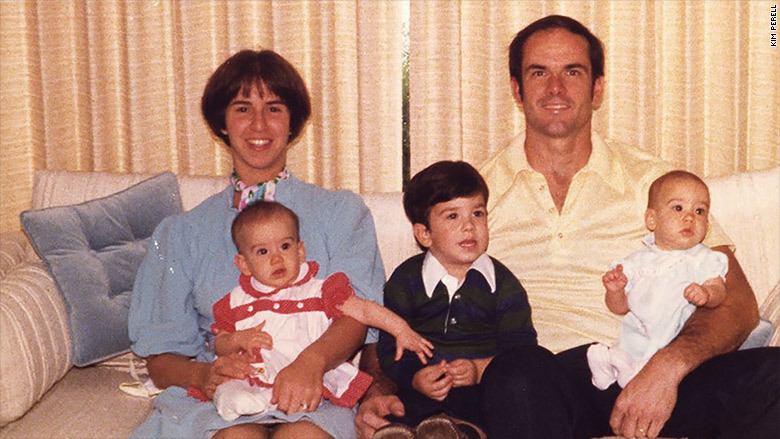 My mom was also an entrepreneur, but her work revolved around company values -- to help companies put people before product. She was more consistent and wished that my dad would get a "real job." Their financial stress ultimately split them up. What was the biggest hurdle you ever encountered and how did you overcome it? Xdrive was probably the best job that I ever had. I was 22, we were going to the Four Seasons in Hawaii, we got to go on the Howard Stern Show and we spent money like it was going out of style. It was so much fun. But when it went bankrupt in 2001, it became the worst time in my life. All my friends who I'd gotten jobs got laid off. People were depending on me. That's hard to overcome. I had $10,000 in the bank and I thought, "What will I do now?" My husband said that his parents would let us stay in their condo in Hawaii, so it was a free place to stay. I could also see the opportunity. I could see that I could create something from nothing, from a digital advertising perspective. People wanted to advertise online and you didn't need a lot of infrastructure. All you needed was a computer, a table, a GoDaddy account and great relationships to launch a company like mine. The worst of times became the best of times. Do you feel you were you given fewer opportunities to get ahead than other successful people? Now looking at my children, based on my network, they have more opportunities. But in Oregon, we didn't have that so I had to create them for myself. Selling my first company, FrontlineDirect to a European digital media holding group, Adconion Media Group for $30 million was my big break. We merged the two companies as AdconionDirect and continued to build and grow into a $350 million company. We looked for a strategic buyer that could help us scale up to become a billion-dollar business. Amobee, was the perfect buyer. It was owned by Singtel, a $50 billion telecommunications company. AdconionDirect sold its U.S. and APACassets to Singtel (Amobee) in 2014 for $235 million. Today, we have 20 different offices around the globe and I oversee 550 employees. I write all my goals down and I look at them regularly. When I was CEO of my last company I wrote a big goal on a Post-It note: to sell my company by June of 2014, and we did it. Writing goals reduces excuses and creates focus on what it is that you need to do. How do you define success and do you think you have achieved it? I define success as the number of lives I can positively influence. I think I can influence more so I don't think I've achieved it. I think that it can never be done completely. From a very practical point it's: "I want to create as many millionaires as possible who can then pay it forward." I believe anyone can go from ordinary to extraordinary -- the opportunity is still there.